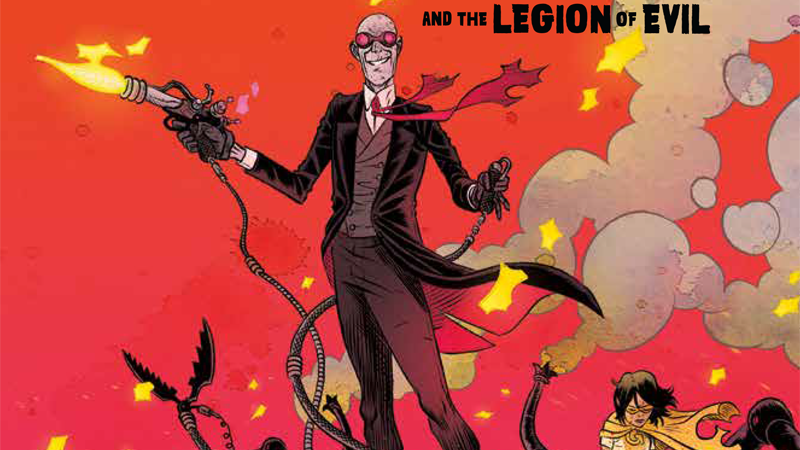 Image: Sherlock Frankenstein and the Legion of Evil #1 cover by David Rubín. Jeff Lemire and Dean Ormston’s Black Hammer series has spent the past year wowing us with its weird take on the golden age of superheroes, following the lives of a group of heroes banished from their home due to a multiversal crisis, and how they adapt. But now its strange, small world is about to get a bit bigger. Sherlock Frankenstein and the Legion of Evil #1 cover by David Rubín.